installed new inks, but the printer wont work. The red light saying there is no ink, is still on. When cleaning printer head black will not clean, have wasted a full set of inks trying to clean the head. Any solutions plz? All problems on this page have been submitted and answered by users. 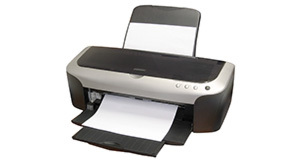 If you have a problem with the Epson DX4200 , please submit it below and we'll post it here. Problem: installed new inks, but the printer wont work. The red light saying there is no ink, is still on. Problem: When cleaning printer head black will not clean, have wasted a full set of inks trying to clean the head. Any solutions plz?